Yes really, I am already being asked that question. My son is just under four months old, and already I’ve encountered the rush to add another sibling to our new family of three. Now don’t get me wrong. These well intentioned questions are merely looking at my age (I’ve just turned forty) and the fact that I’ve clearly taken five years to conceive and birth a healthy new born. But seriously? Don’t get me wrong, I’d love to offer my son a sibling, but the entire process of getting pregnant and being pregnant puts an immediate fear into my heart that I cannot even fathom or want to enter into again. For the very first time in five years I feel free! Free from ovulation cycles, dates, symptoms, pregnancy tests and disappointment. I’m also free from the worry, anxiety and stress that came with pregnancy. Yes you heard me. Even though this pregnancy, my fifth, was successful, I spent every single day worrying about the baby growing inside me. In fact, it wasn’t until my son was handed to me in the flesh that I could even believe that the pregnancy would succeed. I’m sure that this anxiety and stress was caused by my earlier struggles with infertility and pregnancy loss. So why would I want to rush into all of that again? It’s almost liberating to not go through each day with the on going mind-mess that is trying to conceive or pregnancy itself. For me, personally, it became far too all-consuming. I’m now enjoying being a first time mum, and for the first time in years, I feel relaxed! I love my son and I’m happy with my family today. The fact that I am forty is also a factor. Time, as it progresses, is making any decision even more difficult. I wouldn’t and couldn’t even start to think about another pregnancy right now. I want to enjoy my son, and his early years. If I were to give myself the gap I’d always envisioned of about two or three years between children, that would make the odds of miscarriage, disabilities or worse even greater. I would be heading towards my mid forties. The question arises, what if it takes me another four years and a bundle of miscarriages to offer my son a sibling? Is it worth all that anxiety once again? What would that do to the relationship I hope to have with my young son? More than that, there should be no pressure, no questions, just acceptance that I bore a miracle baby boy. A baby I never thought would actually come to fruition. My husband and I had begun to conclude that our lives might never involve children. To have one son is a blessing and a miracle. For now he is all that we need! No ifs, buts or maybes. We are complete! We are a family. This was all I had ever hoped for. So well said Rachel. It should not be a question that you even have to contemplate. Enjoy your miracle baby and know that only children do not suffer because they don’t have a sibling. He is a lucky boy to have been born into such a loving family and that is all he needs. ? People can be so insensitive. I am the mother of one – my beautiful daughter. 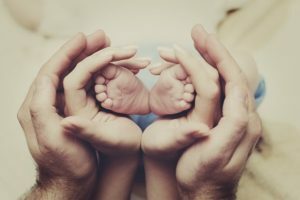 I had two miscarriages after her, and as I approached my fortieth birthday, I eventually realized we would be “one and done.” It was a long process to get to the point of making that life decision. Women are faced with losses and touch choices everyday, yet it feels like our culture simply demands that we stuff it down and look pretty. For that reason, I am all about keeping it real. Women should not have to suffer in silence! Thank you for sharing your story, Rachel. Coming over from our OAD group! Beautifully written! Thanks for sharing!!!!! Our guy was also a miracle many years in the making. So many reasons why he’s an only and yet people still ask. Sometimes I get annoyed and say we can’t have anymore so they can feel embarrassed and other times I say he made us complete.